From the CIBC Run for the Cure to RBC Race for the Kids and Terry Fox Run Calgary, fall is the city’s unofficial running season. Tammara Francis. Photograph by Wasif Mahmood. If you are planning on running any of the upcoming races in Calgary, cross-training should be on your radar. Cross-training is crucial in preventing common running injuries and can help improve your time and speed. Calgary-based coach Tammara Francis knows a thing or two about running – she has been a runner for more than 14 years and completed marathons in Edmonton, Vancouver, Calgary, Toronto, Boston, Chicago and Malibu. She is currently a running coach and teaches boxing and strength/circuit training classes. Francis started running as a way to keep fit while she went to school in Toronto. 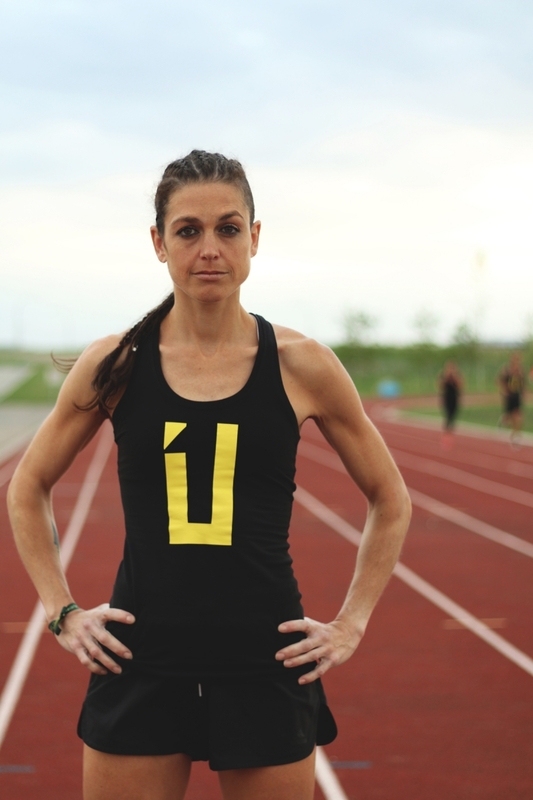 Moving to Calgary, she was inspired to take running more seriously because of her co-workers. After completing a 5k CIBC Run for the Cure with her co-workers, Francis was hooked. She started getting more serious about cross-training when pregnant with her second son and started with low-impact options like spinning. Her goal was to stay in shape and qualify for the Boston marathon – she had missed qualifying the year before by only three seconds. With the help of two coaches, she qualified for the Boston marathon in 2013 and cut down her time by 26 minutes. “I’m very much an advocate for cross-training and making sure you have a strong core, strong legs and just a strong body,” she says. She recommends cycling for cardiovascular training and building strong legs without the impact running can have on joints and knees. Francis’ other favourite exercises include side-shuffles to change the plane of motion for runners, superman to strengthen the back and bodyweight exercises that target the core. “Core is not just the abs. It’s everything from your shoulders to your knees,” she says. Having a strong core helps running feel better in general. One of Francis’ favourites, TRX exercises, can provide great benefits to those looking to strengthen their core. And of course, flexibility is crucial for runners in order to avoid injuries. Francis recommends candlelit yin classes for restoring the body but says all types of yoga is beneficial for those looking to step up their running game. Lastly, she recommends working with a coach for those looking to compete professionally. “A coach will not only tell you the proper way to run but they will correct you if something seems off,” she says. You can find Tammara’s boxing classes on the schedule at UNDRCARD Boxing Studio. Junction 9 Yoga & Pilates offers candlelit yin yoga classes that are great for beginners. Kult and CrushCamp offer HIIT circuit training classes. Barre classes, like the ones offered at Barre Body Studio, focus on strengthening the legs, glutes and your core. And spin studios like YYC Cycle and Stax Cycle Club combine high-intensity cycling with a nightclub feel and offer plenty of classes throughout the week.